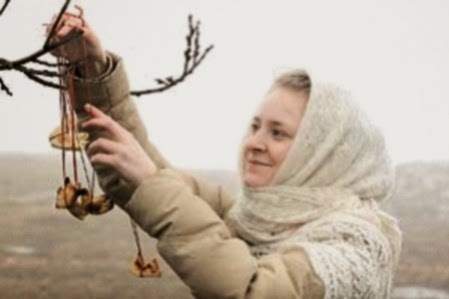 Belarusians meet spring today, on the vernal equinox. People explain the name of the holiday differently since pagan times. 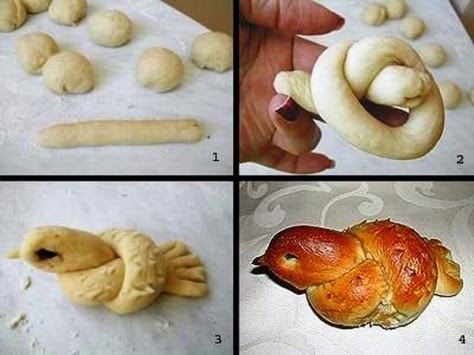 Some people say that forty birds arrive in the day, others are looking for in the name of the ancient root of the word rock (year), and believe that from this day begins a new agricultural year. When Christianity came to Belarus, holiday priests tied pagan festival with forty martyrs who suffered for the Christian faith. But people believe that on this day the spring returns to Belarus. 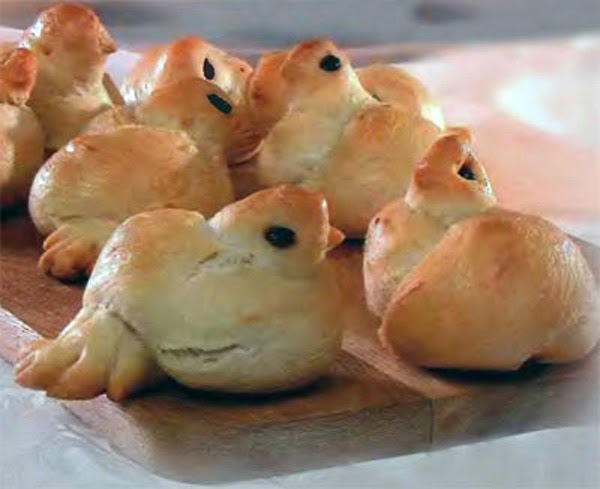 So we believe that the birds return to their homeland on this day, and bring the spring with them. And we need to help the birds, because the winter does not want to leave. Trees are decorated with ribbons and paper birds. 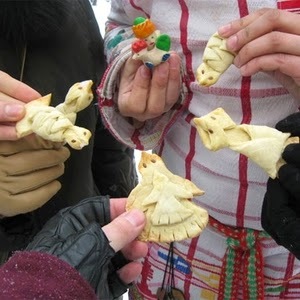 Women bake bread in the form of birds (every housewife keeps its own recipe for dough figurines), they carry them out and throw up into the sky. All sing spring call to the birds (larks, arrive, come back soon and bring a spring). Then people have fun and enjoy. Wonderful post and beautiful photos. You have a lovely blog. Warm greetings from Montreal, Canada.